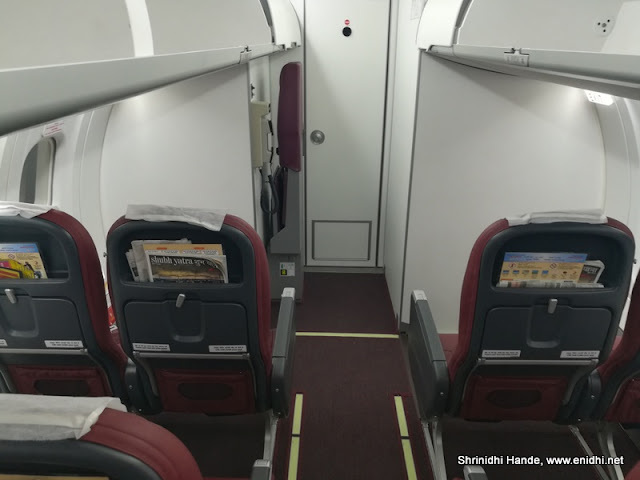 During the onward journey, I had selected seat 2A, the first row with extra legroom (unlike spicejet, Air India doesn’t sell emergency seats for extra money). 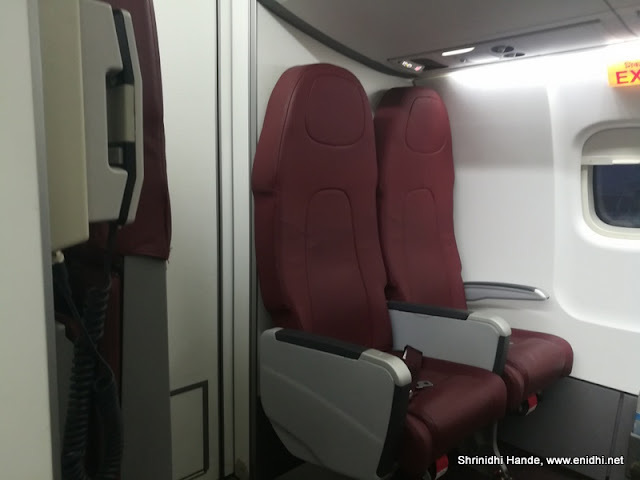 As I reached my seat, I noticed that there’re 2 seats facing the opposite direction- 1 C and 1 D. These were bigger and better cushioned seats but do not recline. There were only 2 of them, not 4 as left side space is used for cargo I guess. One of the passenger was allowed to sit in this seat, but soon after take off, he went back to his original seat. Flying backward would have been a different experience, not necessarily a comfortable one. I sat on it for a while- would have been great choice if were to face forward and have some recline. Not very sure what was Air India’s idea to position these ulta- may be to save some legroom- both 1C and 2C passngers share the legroom as they sit facing each other. Also it will be an awkward position to sit- you’ve to keep looking at every passenger’s face and everyone gets to keep looking at you! On my return journey I was trying to select this special seat, but this time it was a different configuration. No special seats facing backwards. Also unlike Spiecejet’s Bombardier, ATR 72-600 has its cargo hold in the front- between passengers and cockpit. What this means is passengers have to enter and exit through back door only. Those sitting in front will be the last to exit. Also this flight is operated by Alliance Air-something new to me- learnt that it is a fully owned subsidiary of Air India. Now that I am at it, few other points- food- stale set of 2 sandwiches, which gets described as “meals” if you’re booking ticket on MakeMytrip or such sites. Anyway, something is better than nothing. Also AirIndia has decided not to bother serving non-veg to economy passengers, so there’s no need to specify veg or non-veg now. On time- Yes, both my flights were on time. Rest of the services were good too, nothing to complain. 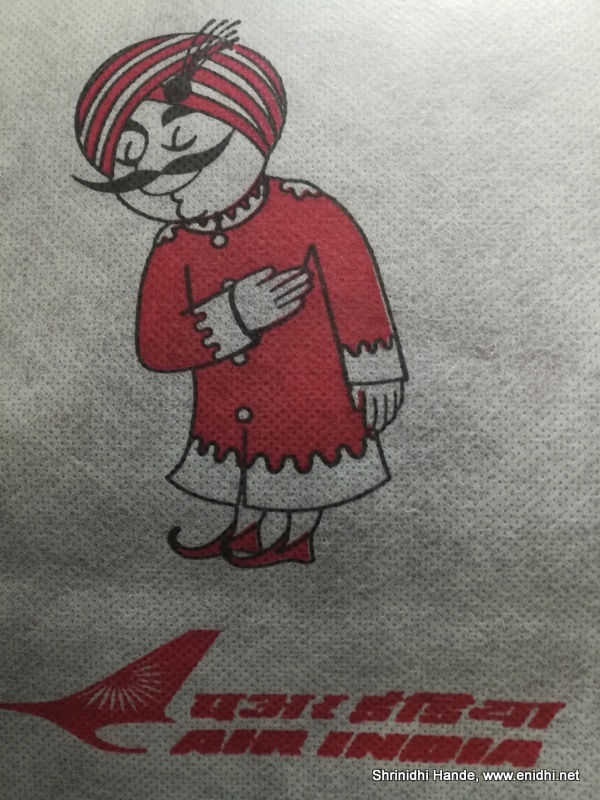 Read my previous Air India experience here. Ever flown in this VIP seat? How was your experience? Do share.